Please select a countertop to go with your purchase. Note: Actual product finish may slightly vary from photo. Please select a faucet to go with your purchase at NO CHARGE! Please select a side cabinet to go with your purchase. 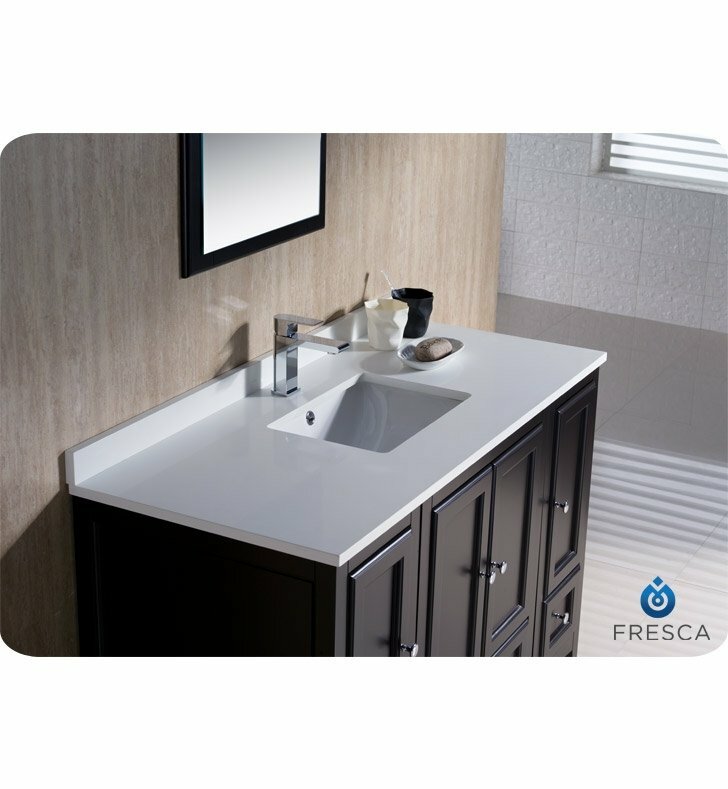 If you're searching for the perfect bathroom addition that brings form and function to your home, look no further than the Fresca Oxford 48" Traditional Bathroom Vanity with Two Side Cabinets. This incredible versatile furnishing blends with an array of interior design schemes, making it an ideal choice for antique, traditional and modern homes. 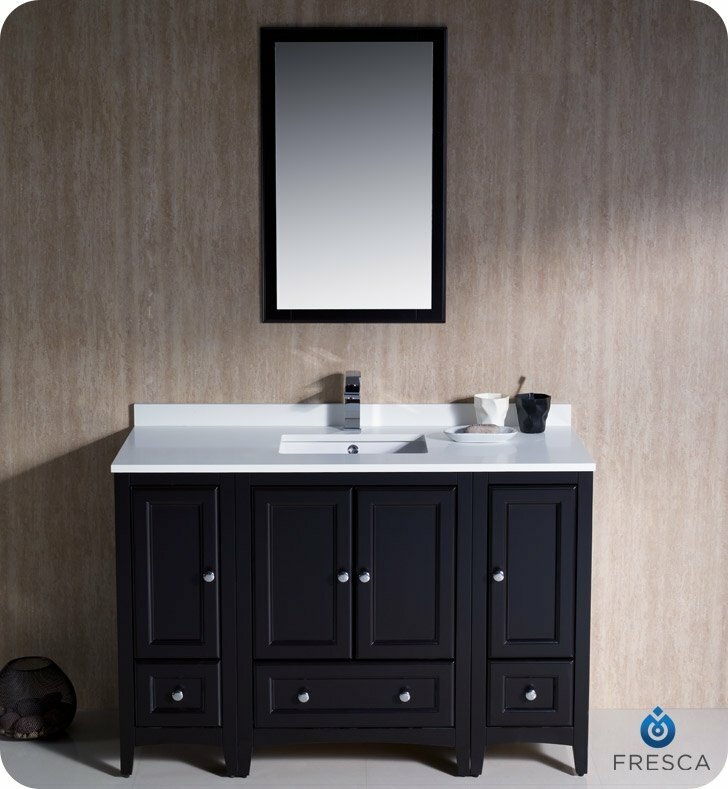 At the center of this beautiful vanity is a sturdy and appealing solid wood frame. Not only is this tough enough to remain intact after years of use, but its gorgeous espresso color allows it to remain the focal point of the room. 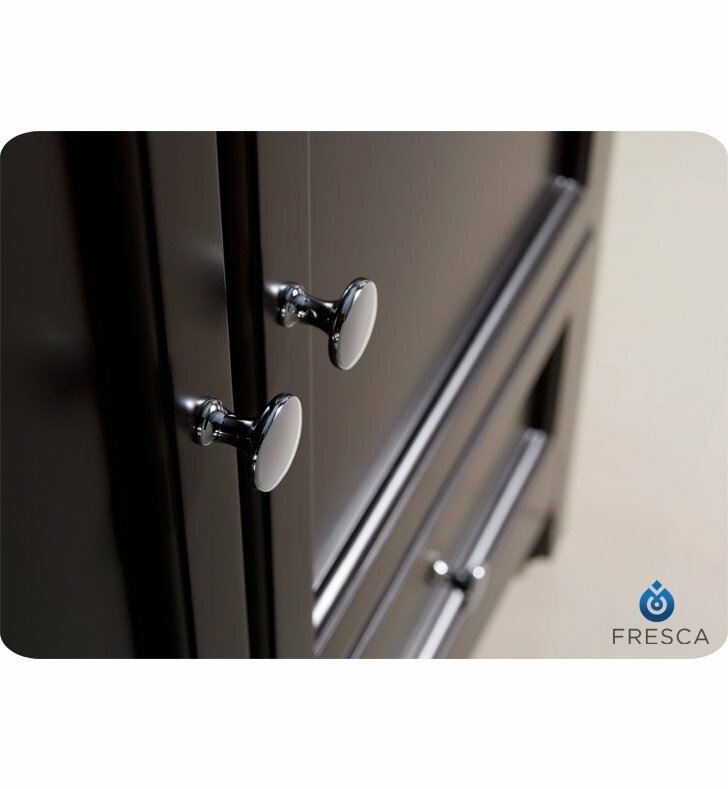 Within the frame you'll also find expansive storage space, thanks to the enhanced design of the two side cabinets. 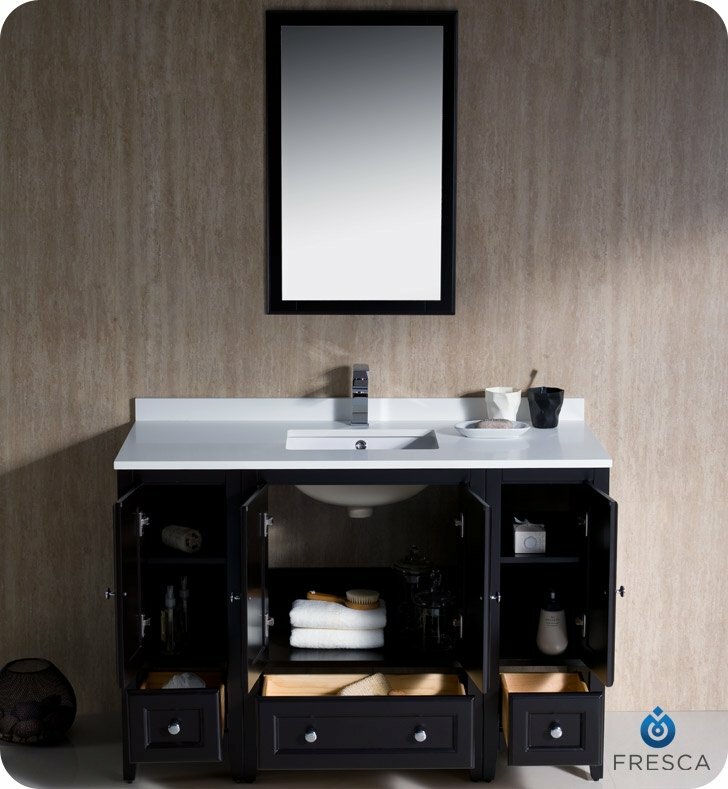 When combined with the dovetail drawers underneath, you won't have to search for an extra place to store your toiletries. 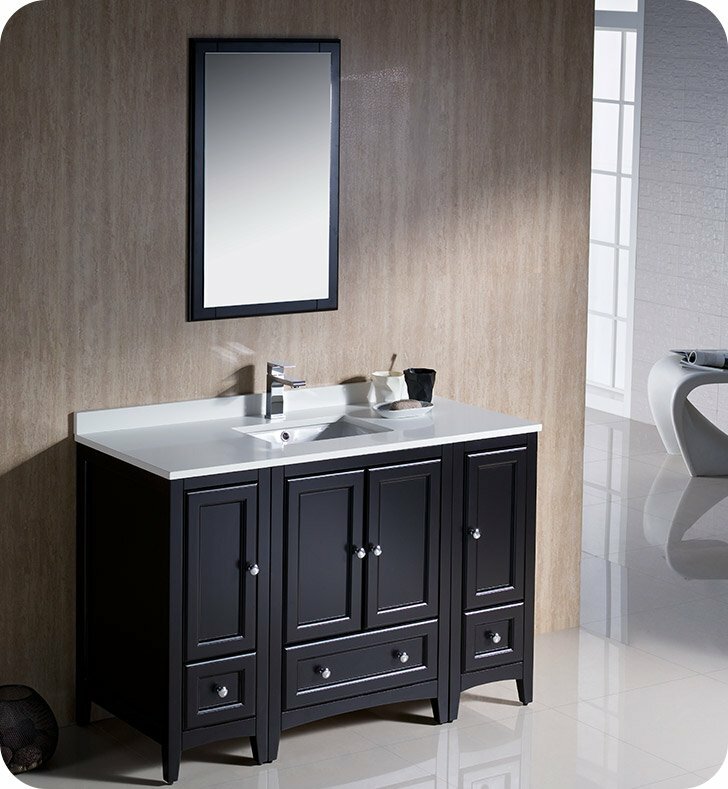 This unforgettable vanity also features a gorgeous countertop and a beautiful backsplash. Made from quartz and available in white or brown finish, the countertop is thick and sturdy enough to support anything that lays upon it. 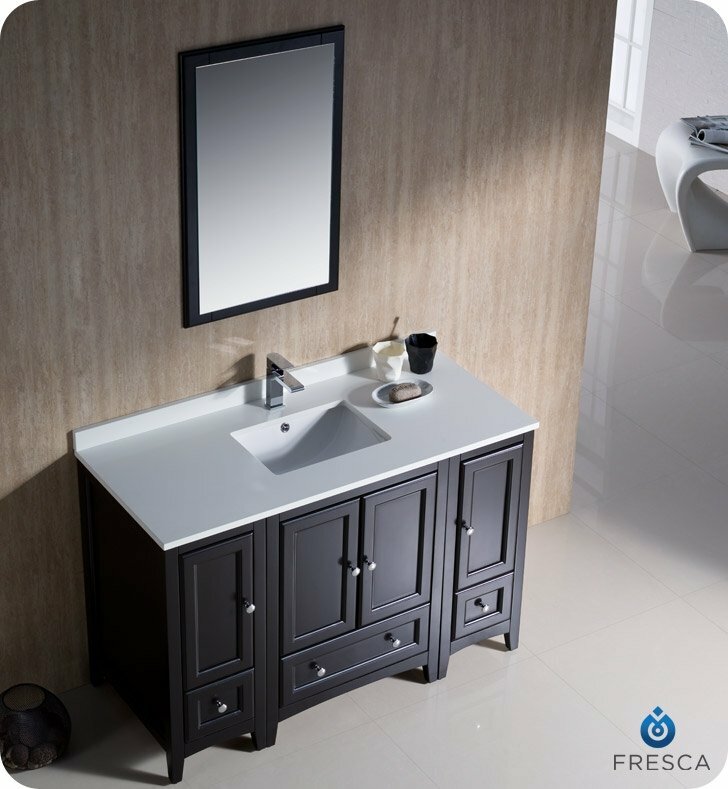 Finally, the Ceramic undermount sink, which can be ordered in white or bone finish, perfectly complements the beautiful large mirror that rests above it. Mirror: W 20" x H 31 7/8"